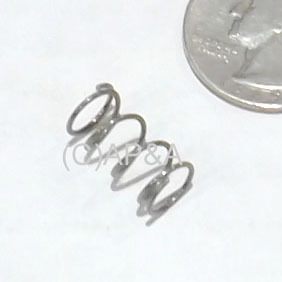 Small coil spring used for trigger in gun handle shooters used on games like Star Trek: The Next Generation, Terminator 2. Original springs are commonly crushed/broken, which results in a "floppy" gun trigger. Restore original feel and operation to your gun handle shooter with this brand new original part!